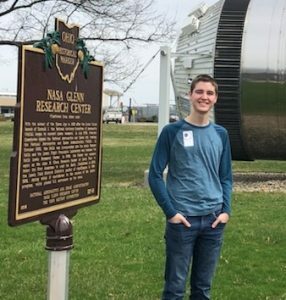 BERLIN CENTER–Congratulations to Emma Reph, Olivia Reph, William Reph, Isabel Schors and Alaina Courtwright who were selected to serve on the 2019 Mahoning County Junior Fair Board. They reported on the Ohio Junior Fair Conference they attended recently in Columbus. Serving as 4-H Junior Camp counselors this summer will be Alaina Courtwright, Natalia Kresic, Emma Reph, Olivia Reph and William Reph. Natalia, Emma, Olivia and William will also be traveling to Columbus monthly to attend Ohio 4-H Teen Leader Council training at the Ohio 4-H Center and will also be assisting with judging events at the Ohio State Fair. Club advisors introduced themselves and stated their project responsibilities. The following advisors are serving on county and state committees and have a wealth of knowledge and experiences to help the youth grow: Karen and Bob Day, Laura Jones and Robin Reph are serving on the Mahoning County Project Committee; Jones advises youth with Poultry Projects and Reph leads the youth with Rabbit Projects; Jan and Kathleen Moser are advisors on the Mahoning County Junior Fair Board; Kathleen Moser is a Certified 4-H Master Clothing Educator and assists the members with Clothing and Fashion Projects; Kathleen Moser is currently assisting members get a head start on their advanced clothing projects. Mikki Salovich showed the 4-H Flag that her mother found when cleaning at her grandmother’s home. 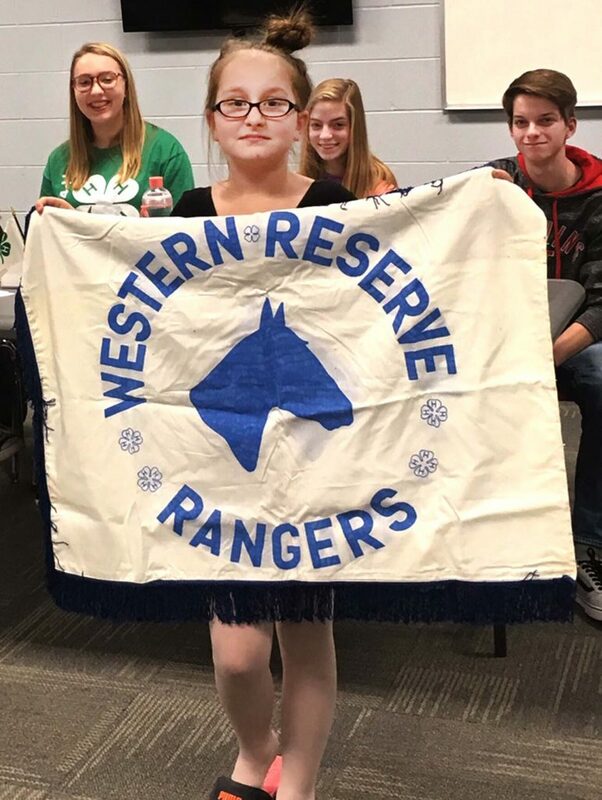 The Ranger flag was from the 1970s when Western Reserve Rangers was a saddle horse 4-H club. Mikki’s grandmother, Jean VanAuker Bright, was a member of the club then. The flag would hang in the barn where the club’s horses were housed at the fair. Members participated in a team building activity during the meeting. The activity was led by President Natalia and Isabel, Emma, Olivia and William assisted her. 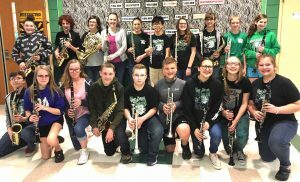 Teens and parents were encouraged to participate in the Ohio 4-H Teen and Volunteer Conference in Columbus in March. New members are welcome to join Rangers 4-H Club when it meets at 7 p.m. Feb. 14 at the Ellsworth Fire Hall. Youth must be 8 years old AND in third grade through age 18 to join a 4-H club. 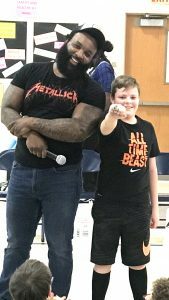 Youth who are 5 years of age and in kindergarten through second grade can join the Cloverbud group led by Amanda Butchko and Janet Majirsky by calling Butchko at 330-360-7165. Check the club’s Facebook page (Western Reserve Rangers 4-H Club) for more information.